Click here to see it in store. This card was made by my Royal Stamper, Sue Hookins from SU Paperworx and I just love it! Sue has recently relocated to the south coast (West Sussex) so if you’re in that area look her up! I love showcasing my team and their work – they are an inspiration to me every day! 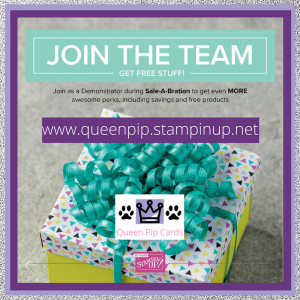 I’m really thankful to have so many wonderful people in my life, all because of Stampin’ Up! Sue knew Dragons were my favourite from the set, most people fall in love with the Unicorns or Mermaids, but nope, not me. I love Dragons! Especially when they are this cute! Here are the other images in the suite – which is your favourite? COMMENT HERE and let me know, I love hearing about your favourite stamped images. 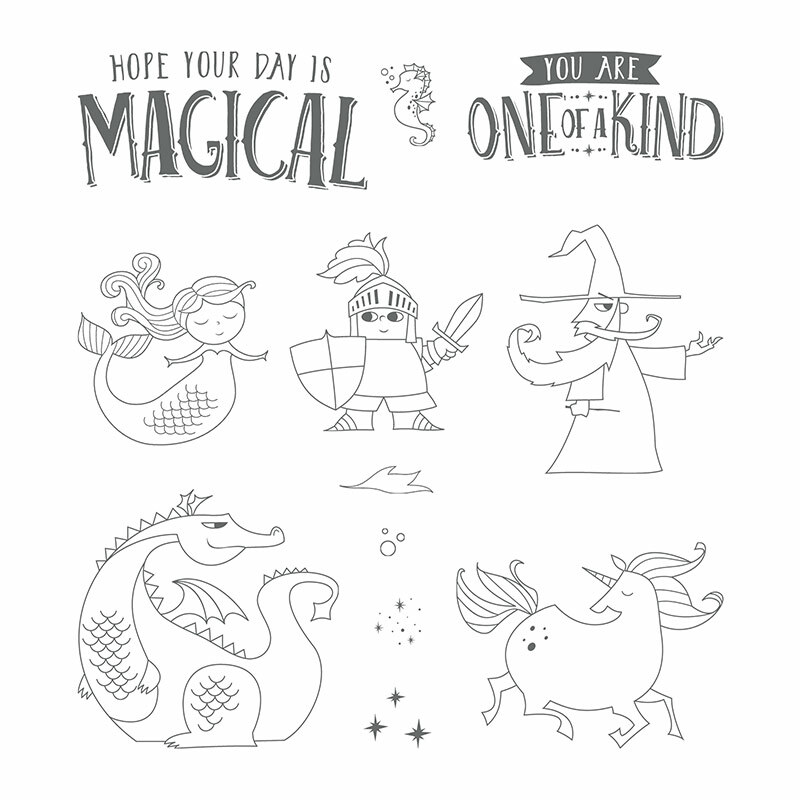 When you purchase the Magical Day bundle you can get perfect cut outs of all these images, this ensures a professional finish to your projects. Plus you don’t have to do all that time consuming cutting. 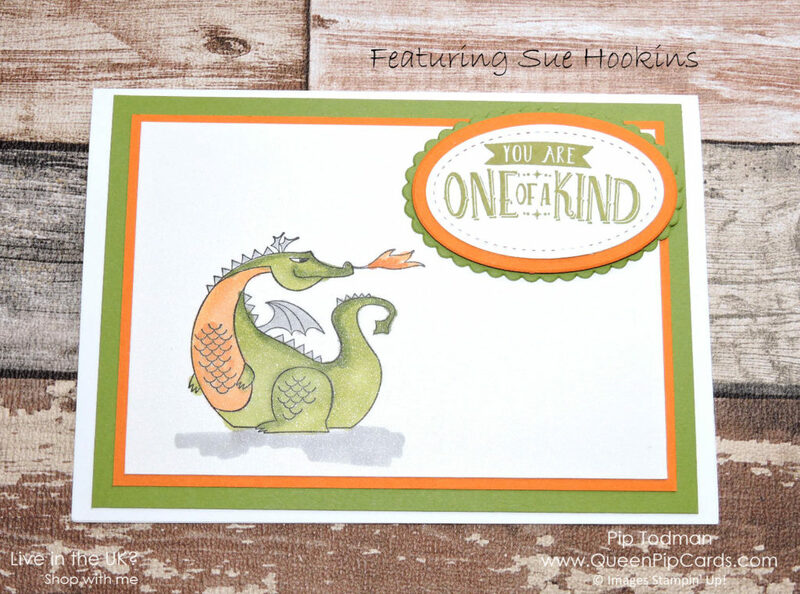 I also love how Sue has used the Stampin’ Blends on her dragon to give him (or maybe her?) some great shading. Using Shimmer White cardstock really makes the dragon sparkle and the card feel special too. 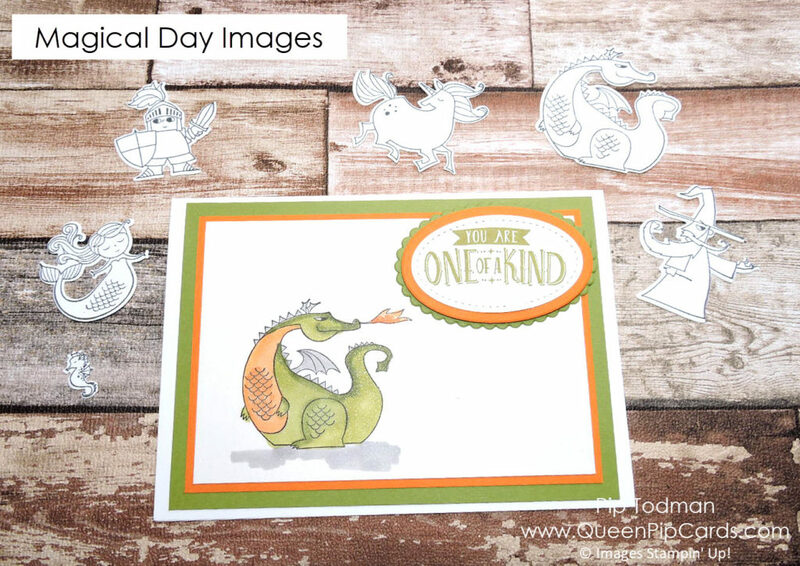 If you’d like to make a cute dragon from Magical Day at home, all the supplies can be purchased via my online store – just click here or any of the products shown below. Click HERE to become a Crafty Corner Member on Facebook!